The Hackers Paradise reviews and covers a lot of golf apparel each month from the small niche companies to some of the largest in the world. When speaking with most of the clothing companies words like Style, Fit, Colors, etc. get used quite a bit when describing what they are working on and what is coming out. One word that is a little different has been coming up more and more lately in our apparel coverage and that is “Performance”. Performance and technology in clothing is something that the golf world has been moving towards for quite some time and since this reviewer is a Florida Golfer, I am all for it. 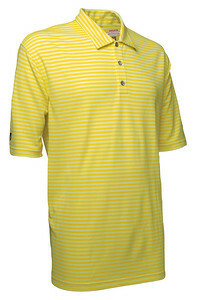 From what we got to see and try the Antigua brand’s genuine golf performance apparel for Spring 2010 is exactly what consumers are looking for in their high performance golf apparel. 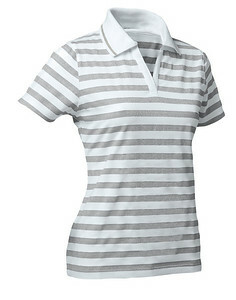 Technology has been exploding over the last few years for golf equipment and so is the same for golf clothing. When this ‘performance wear’ first came to be most of the research and development was centered around the fabrics. They were modeled after the other active categories such as running or tennis which had already been making quite a bit of headway with his performance gear. The best part of this new active golf wear is that it didn’t have the same style as the usual box shape clothing more well known in the golf industry. The bold colors, slimmer fit, and sleek style was the perfect reflection of what people perceive as performance. Since the performance category has now widely become accepted by all courses and all demographics of customers it opens up the opportunity to have the golf performance apparel category evolve. Antigua’s proprietary Desert Dry moisture wicking performance technology, which has been developed exclusively by and for Antigua and has been offered in our performance collections since their initial inception back in 2000 is still used in every performance garment that we make. DESERT DRYTM Technology is a moisture wicking technology that absorbs and wicks moisture quickly & evenly to achieve the most efficient evaporation possible to keep you comfortable and dry. Antigua apparel is routinely tested under the hottest conditions of the Arizona Desert to assure that it meets our high standard of moisture wicking performance. The appearance of the new Antigua line can be described in one word…Style! Great colors and subtle but wonderful patterns really showcase the strong 2010 offering. For the men, if you have ever owned an Antigua shirt, you will understand when we say the “cut is perfect”. They are not Euro Cut, and they are also not cut to where you have extra material hanging around. The clothing is CUT PERFECTLY. When you mix great color, excellent patterns, and perfect cut, you have a great shirt in the style department. Each one of the four male testers that tried on the shirts came away extremely impressed. The ladies side was tested by two women and for the most part they had very similar results. Both the ladies agreed the tops are definitely not Euro cut, however, for the smaller busted or more petite lady you may want to take a size smaller than you are used to. The length was great and the sleeves were not too snug on the arms which both ladies really loved. One thing to note about the style side though is that although they are tamer than most of the stuff we have reviewed recently, the apparel we got to sample has just enough flare to not look “plain”. We found it almost perfect in the style aspect of the review. With all the technology in this brand, the real question is did it work? The answer is yes. However after reading much of the performance aspects of the materials, I kind of expected it to have a mini air conditioner strapped inside somehow. However at the end of the round, the shirts were not clinging to our bodies and were still extremely comfortable. Technology has come a long way in apparel. Wearing these shirts out in the middle of June in the Florida heat and humidity is truly a test for any apparel. The Antigua line showed no issues at all and handled the humidity perfectly. It no longer seems like after 9 holes that I have to change shirts from the heat. 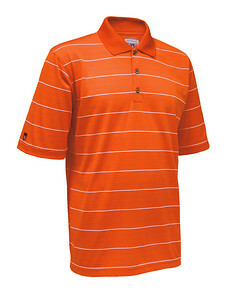 Overall we highly recommend the Antigua apparel line to every golfer that wants a little more out of their clothing. 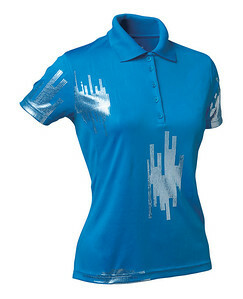 It is available at golf pro shops across the country as well as online golf stores everywhere. They often feature custom embroidery for courses or events and it is definitely worth checking with your local pro shop to see if they will be carrying the 2010 line of Antigua Desert Dry. For more information on the brand check out their website at www.antigua.com. Really good write up. I am a big Antigua fan and my club sells their gear. Will definitely look for this. It looks okay but there’s some stiff competition out there. Most of the gear now is moisture wicking performance stuff. Personally I prefer the funkiness of Puma Golf and I also think the latest Nike TW Collection is outstanding. Keep up the good work tho. This has a lot more going for it than just the regular moisture wicking material. We love the other brands you said as well. However this one is definitely worth the look. material is one of the best we have seen. When they come out, you will see exactly what we mean. Thanks. Solid review. My club also sells this line with cutter and buck. I have some of their shirts and like them alot. Good stuff. I love the Antigua gear and wish they would sell some non-branded items. I don’t own any Antigua gear but have wanted to try it out for a long time now. Thanks for the review. I’ve seen the line at a couple of different pro shops and online shops, but not being familiar with it was a little hesitant to try it vs. a brand I’m familiar with. Might have to take the plunge now and see what I think. I haven’t tried this brand before either but will add it to the list of try-it-outers. They look really nice and I like what was written about them. Wore my Antigua shirt from the WGC event today. Josh is spot-on with the write-up. It was about 85-90 degrees out today, with around 75-80% humidity and even a small rain shower for about 20 minutes. The “feels like” was around 95-100 according to the news. The shirt never felt hot, never got that “clingy” feeling, and didn’t get damp except from the rain and it dried from that very quickly afterwards. I’m definitely keeping my eye out for more of these Desert Dry shirts after today!